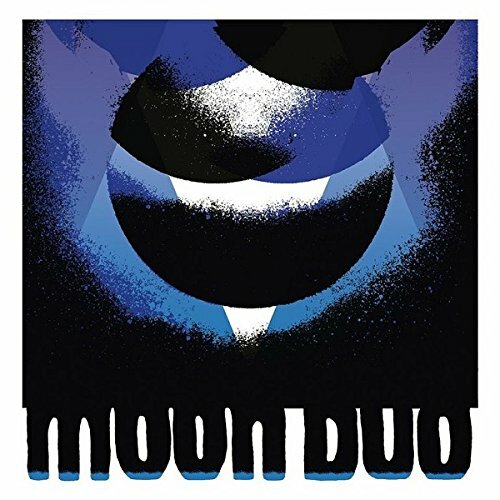 Favouring Krautrock flavour mixed with 60s psych dynamics, Wooden Shjips side project Moon Duo exist in a world of trance-inducing riffs, ominous organ drone and just-the-right-side-of-kitsch beats. It's a timelessly cool but rather limited palette and the trick is to vary it just enough to keep things interesting. 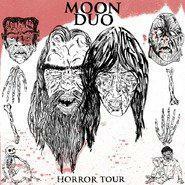 Unfortunately on this mini-album, their first for Woodsist, Moon Duo don't quite manage that. First track 'Motorcycle, I Love You' is symptomatic. Everything from it title (instantly putting one in mind of adorably bonkers 70s Brit horror flick Psychomania), to its unyielding motorik pulse and effects-swaddled guitar is achingly, seductively cool. However, at eight minutes, the track is just way too long to sustain this first impression and, excluding some spectral, malevolent mumbling, nothing much of significance happens during its time span. You end up impatiently waiting for it to end when you should be praying it never does. Second track 'In the Trees' is a heavy, trippy blues number with spidery tendrils of guitar shooting away from the earthy beat. 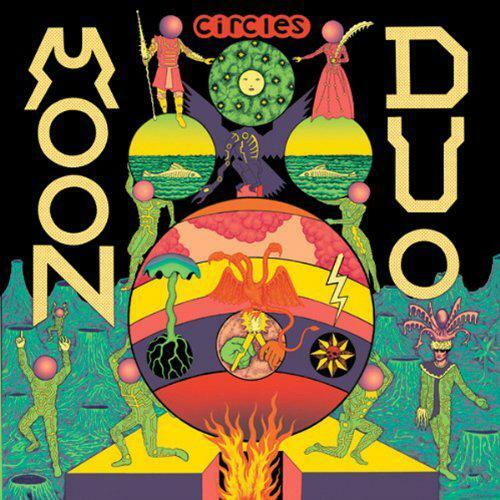 On this track, the influence of drone-rockers Spacemen3 and Spiritualized is very obvious. It's a beautiful piece of music but, again, it's overlong. 'Stumbling 22nd St', the third track here, breaks the pattern by dint of actually being a fully formed song rather than a stretched-to-breaking-point jam. 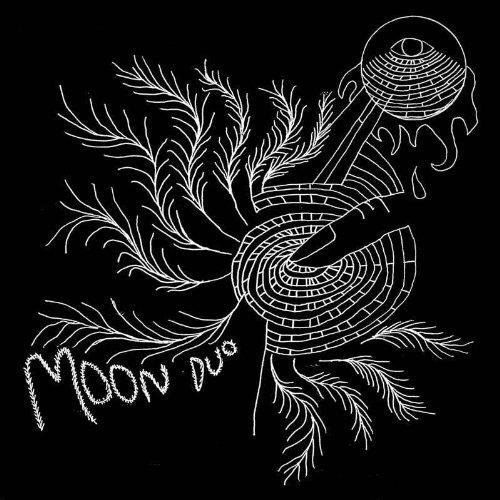 It's good, but not as good as 'Catch as You Can', Moon Duo's mysteriously sparkling single from earlier this year. You also can't help suspecting that perhaps Erik Johnson and Sanae Yamada rather over-estimate the impact of their slightly mannered guitar freak-outs, of which there are many over the course of these first three tracks. What is the listener supposed glean after a certain point from music this unchanging, this self-focused and apparently self-satisfied? Johnson and Yamada come across as quite incurious about the sonic possibilities of the music they make. 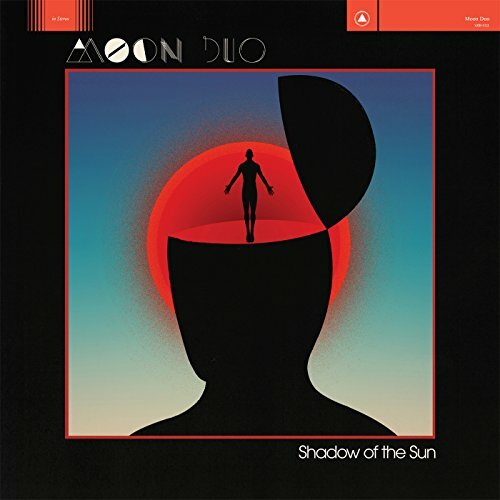 Unlike Neu!, for example, Moon Duo apparently don't know how to or just aren't interested in keeping the music interesting and beautiful for the listener. The final and title track is the best on offer here, and the most obviously indebted to Neu! It mixes another great Klaus Dinger-style rhythm with some likably skewed and mangled surf guitar. It's a great, inventive track and for once the six minute-plus length feels justified. A few more moments like this and a lot less autopilot riffing would have made Escape a release to treasure.